We're happy to announce that as of next week, the talented, Mr nice guy - James Dean Tattooer will be joining the Black Cat Tattoo family. As an all-rounder, he specialises in Black & Grey, Neo-Trad, Fine line and traditional. We we're super stoked to be part of such a fun event! With food trucks, beer, tarot card readers, jewellery, vintage clothing, and the Black Cat Tattoo team - there was something for everyone. 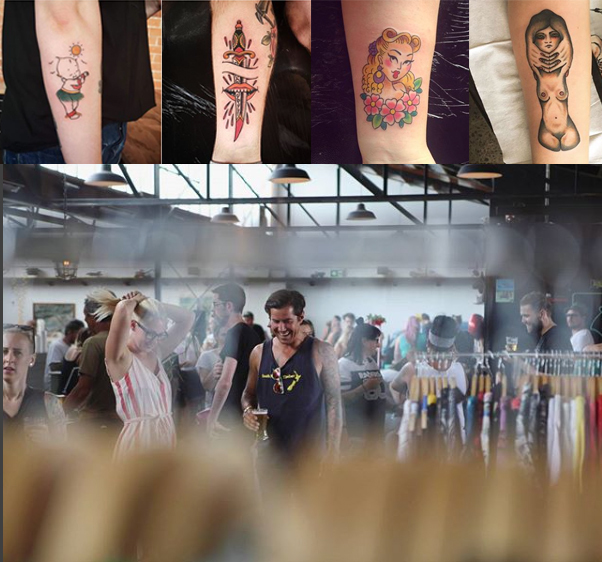 The team worked tirelessly to get through as many flash tattoos as they could, so apologies to those we couldn't fit in on the day - but to those we did grab a tattoo, thanks for coming and having a yarn. Looking forward to Little Riot #2! We're welcoming Amy Trouble to the Black Cat family. Well versed in cartoon, pin up and bright and bold tattoos, Amy is here for all your Disney and Simpsons needs. Check out her work and give her a follow on @amytrouble. Time Magazine has put together a pretty interesting read on the history of Tattooing in America. So, pretty much - next time you have a toothache, come and get tattooed. Thanks to all of those who came out for our Flash Day last Sunday. The day was solidly booked out, so thanks to those who got tattooed, and sorry to those we couldn't fit it. Just a selection from the artists on the day. The time has rolled around again for our next Tattoo Flash Day! Sunday 28th May 10am-6pm, tons of designs from all our artists, first in, best dressed. Bill Murray - always in with the win. There's just something about Bill Murray. And well, this photo - probably the best photo of Bill Murray ever taken, says it's all. Courtesy of the New York Historical Society, I'm just going to leave this little treat here for everyone. Welcome to the team Toby! On the 3rd May we welcome the super talented tattoo artist Toby aka @ropeytatz. Toby has a unique take on the standard style of Traditional tattooing. He's got lots of flash tattoo designs available, so come check him out at our tattoo studio in Auckland and pick up a cool original piece. Well if someone in the Trump camp says so..
Another winning piece coming from the Trump camp - Tattoos may be linked to drug addiction. Our tattooists are constantly drawing and coming up with things they're keen to tattoo. So stop by the shop to check out the ever changing, one off tattoo designs up for grabs. We have a selection on the wall ready to go, and priced well! So make the most of the designs that the tattoo artists want to tattoo, and get some rad pieces and good prices. Cheers to all that turned out for our last minute Tattoo Flash Day at Black Cat Tattoo. Was a great turn out, thanks to all those who took home a tattoo, and apologies to those we couldn't fit in. Keep an eye on our Facebook and Instagram for upcoming days. Tattoos - good for you! It was all in the heading: Researchers found that getting tattoos could strengthen the immune system, helping us to stave off common infections. So there you go, next time your wife, boyfriend, mum is complaining about your next trip to your tattoo artist - you're doing it for your health! We've just stepped into out awesome new studio, so thought we'd top it off with a new name - BLACK CAT TATTOO. Still the same bunch of people, doing the mix of Neo-trad, Traditional, Dotwork, Blackwork and all other tattoos. So come check us out in our new shop at 5x Central Rd, Kingsland and book in with one of our tattoo artists for your next tattoo. 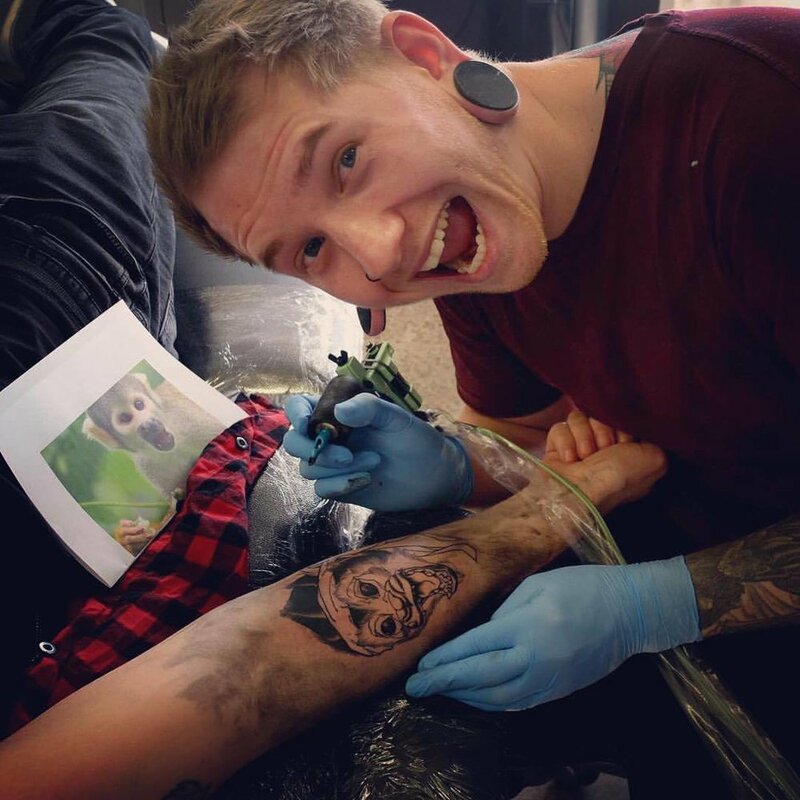 We have the super talented tattoo artist - @zanderxmasom coming to play in the studio from mid August and beyond. Check out his instagram and give him a message to book your spot. We welcomed Nick back from a few months off, and he's straight back into tattoo life. This guy sat like a champ for two full days straight while Nick knocked out an awesome start on his back piece. And for this week we have..
A little taster of the weeks tattoos, by our team of weird and wonderful tattoo artists. Come stop by our tattoo studio in Kingsland, Auckland to grab your next piece. We had lost Nick to the wild for a few months, where he spend his time growing a substantial beard and taking to the lakes and mountains for his supper. But he's back, and ready to tattoo you. Get in touch with the shop to book your next spot with Nick. A little taster from the week that was. Thanks to all who came in and grabbed a tattoo, had a laugh and a beer. Makes for a good read.. Anyone who followed the story of the woman who was refused a tattoo on her neck would have had an opinion about that. Here is a view from a tattoo artist.